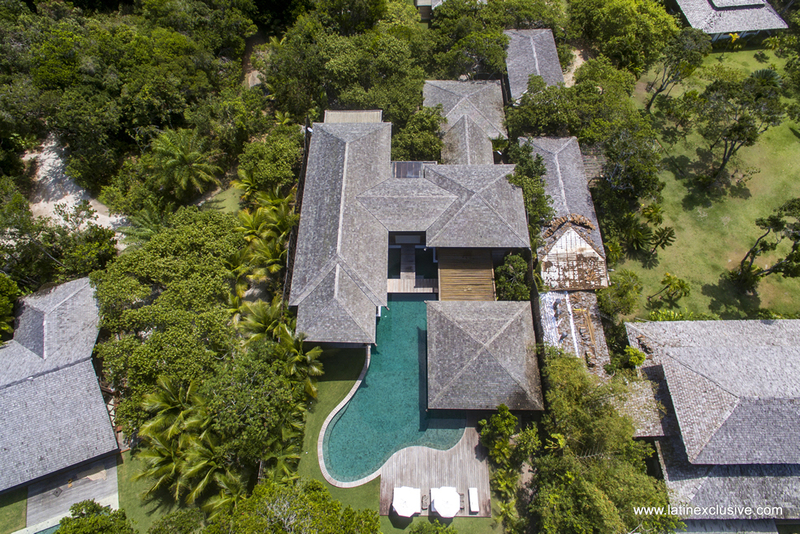 This high-end beach house has everything that you are looking for: beautiful luminosity, large volume, sweet sea breeze, warm decoration, comfort, large garden with gourmet area, excellent staff, hammocks, fantastic pool and a gorgeous beach. 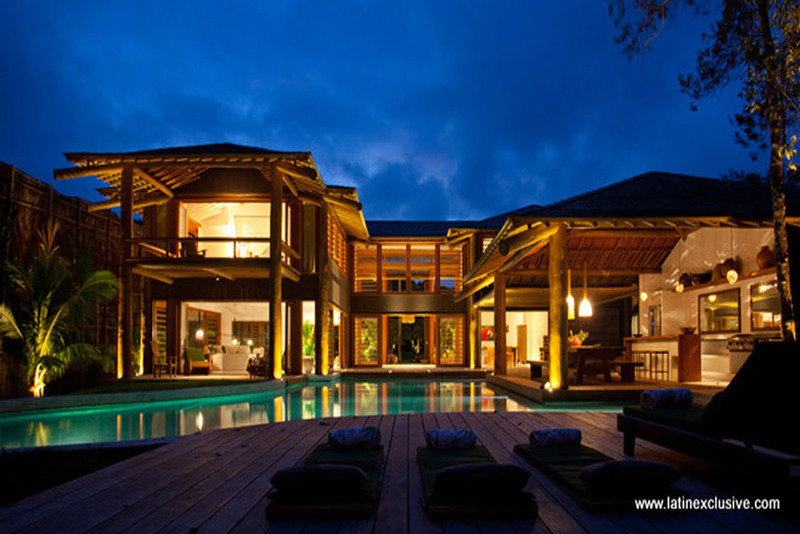 This high-end beach house has everything that you are looking for: beautiful luminosity, large volume, sweet sea breeze, accurate and esthetic decoration, comfort, large garden with gourmet area, excellent staff, hammocks, shower, a fantastic pool integrated to living spaces and a quasi-private beach. 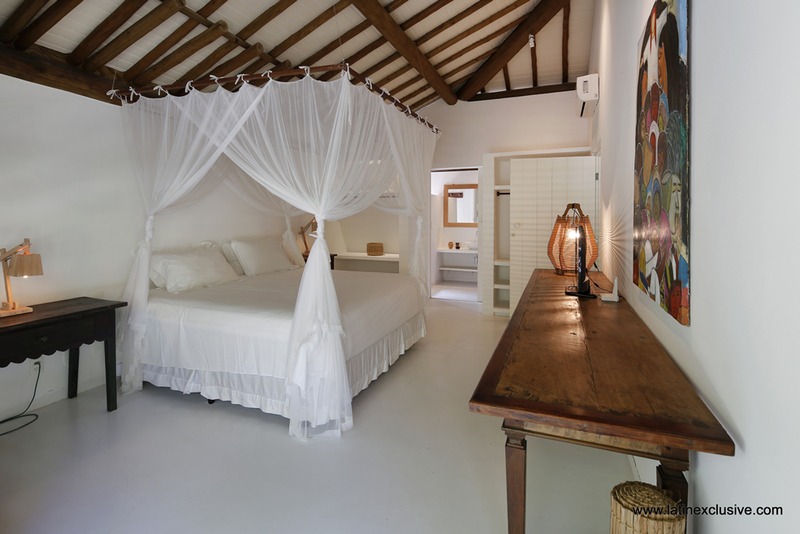 There are 7 beautiful bedrooms with en-suite bathroom. 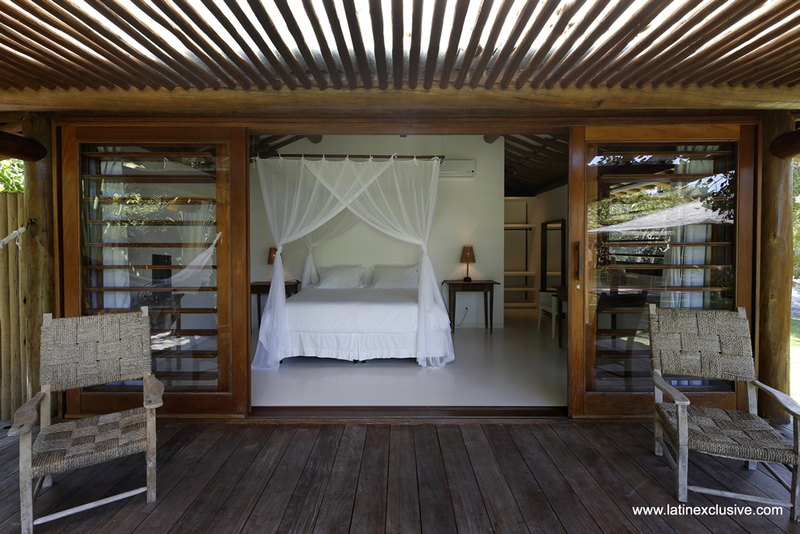 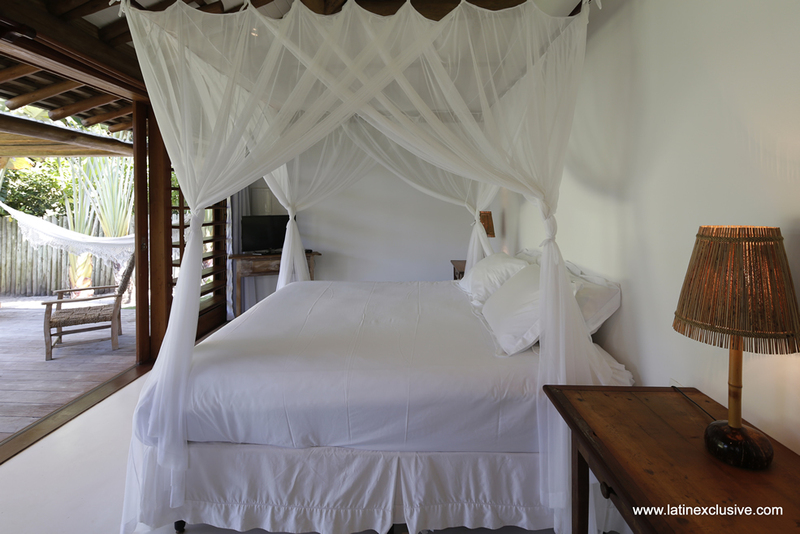 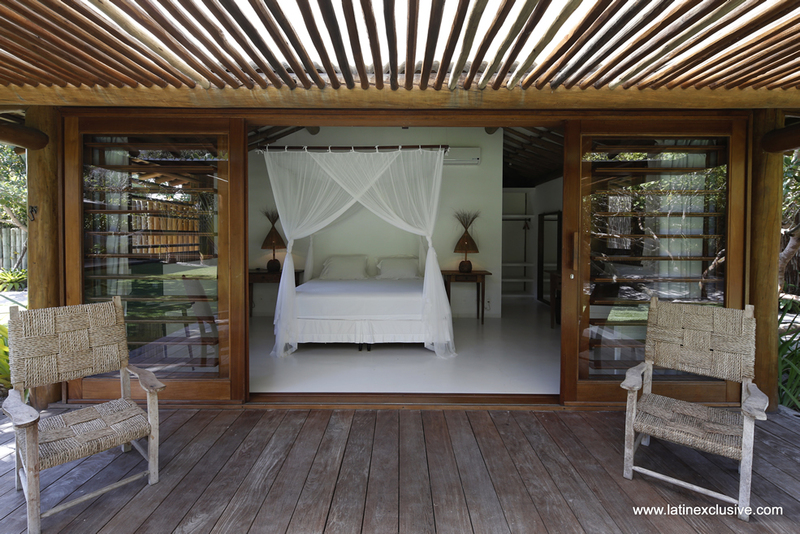 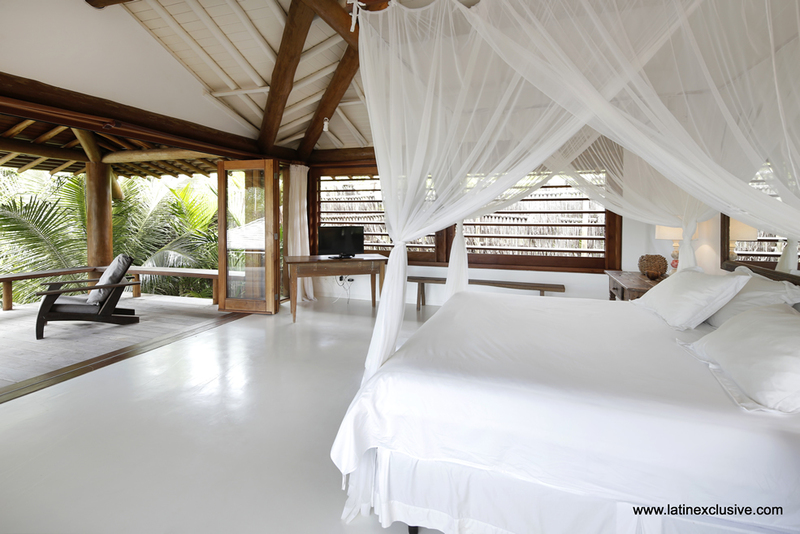 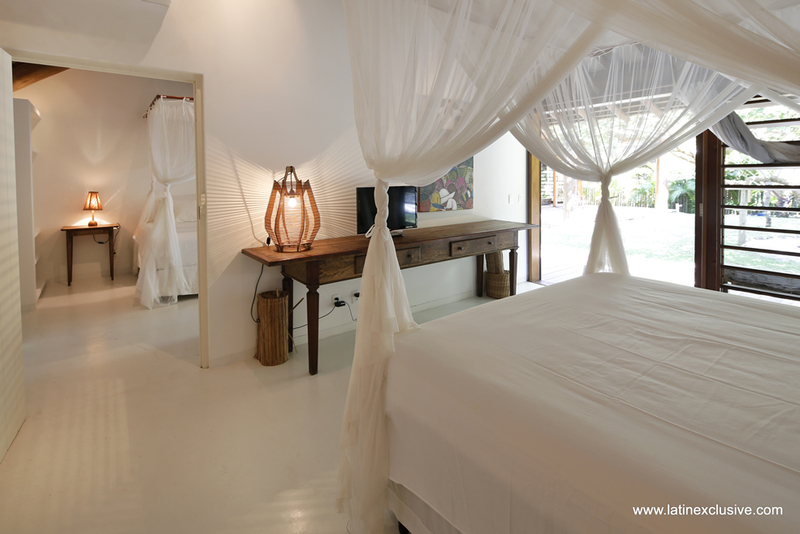 On the upper floor, the bright master suite has a large balcony and sea view offers all ocnfrot and privacy. 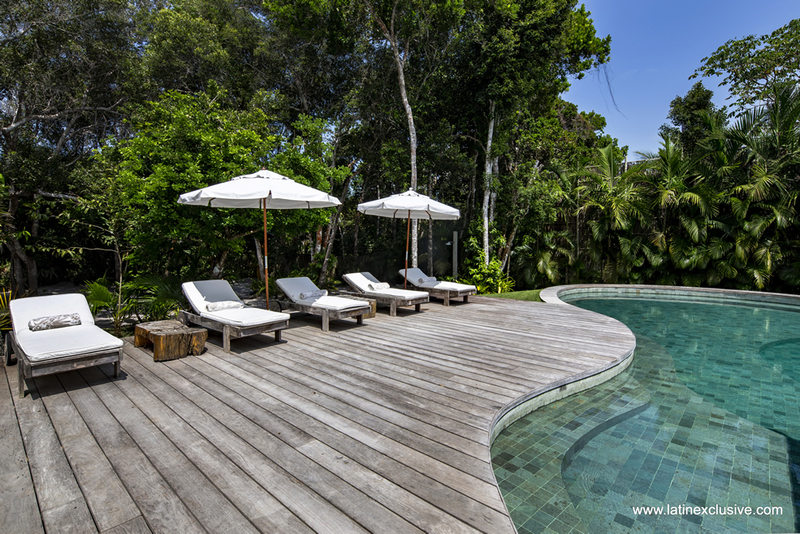 There is also two more suites, a chilling area where you can play game, reda book, work on the desk or receive massages, enjoying views on the luxuriant tropical graden and on the magnificient pool. 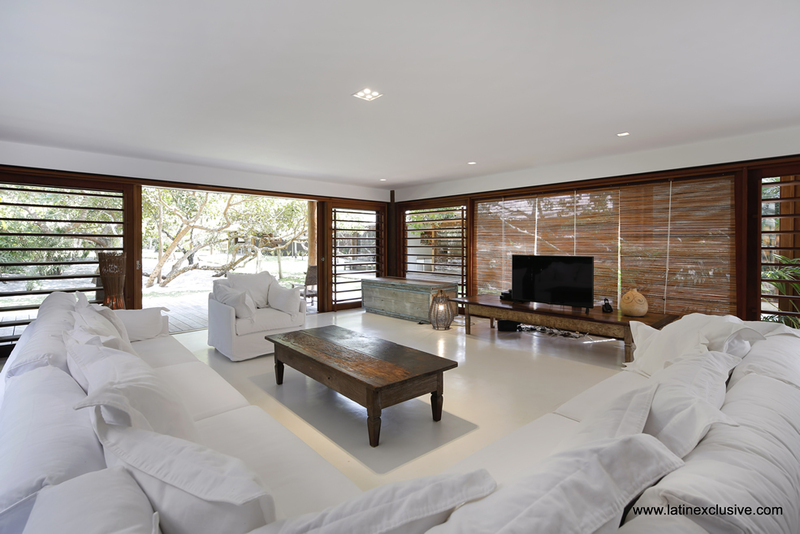 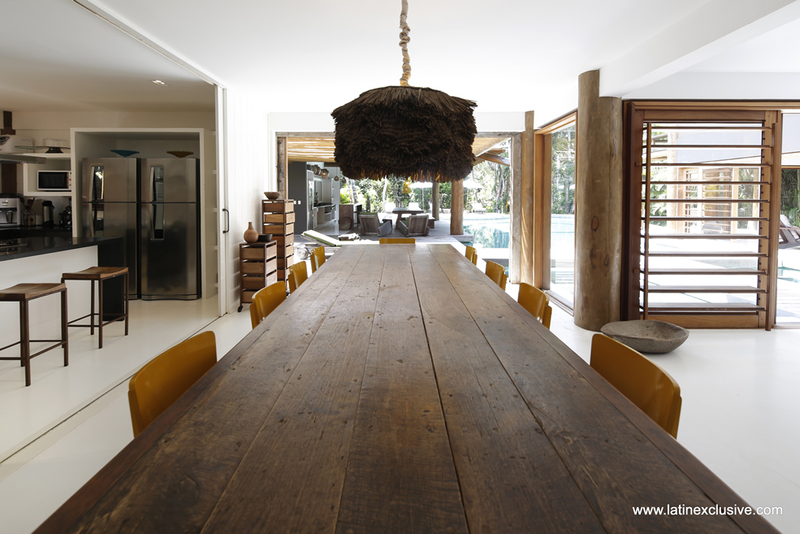 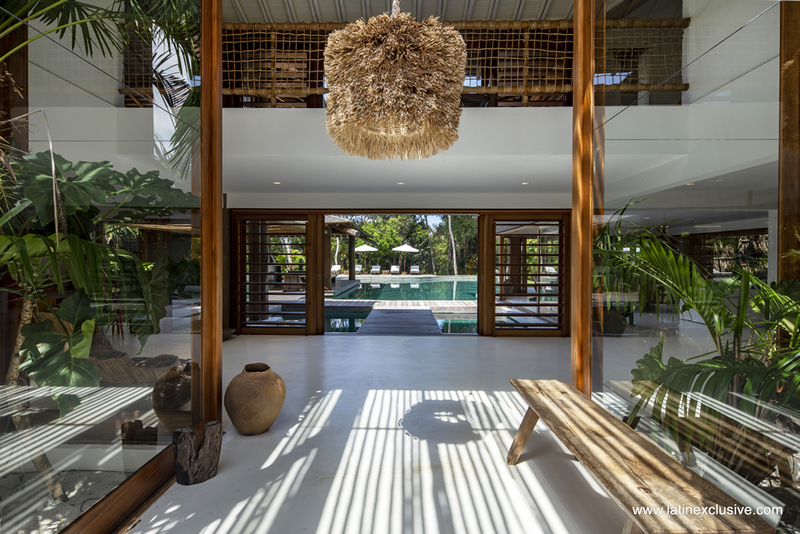 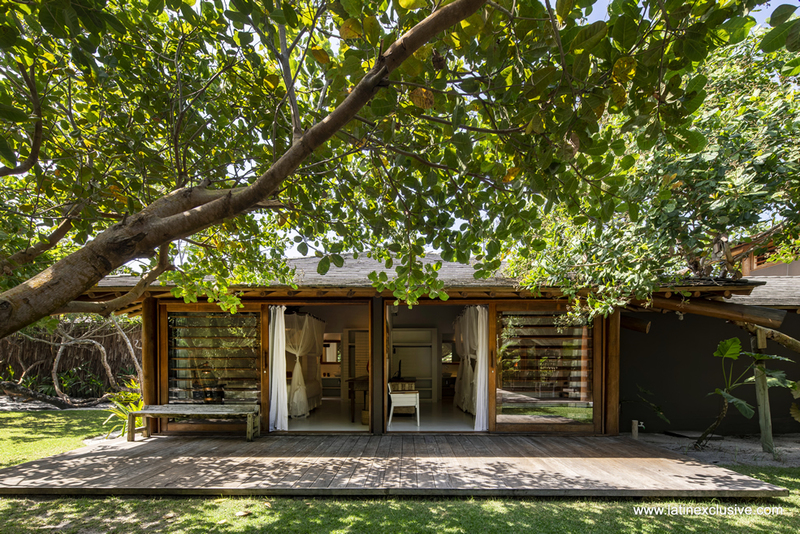 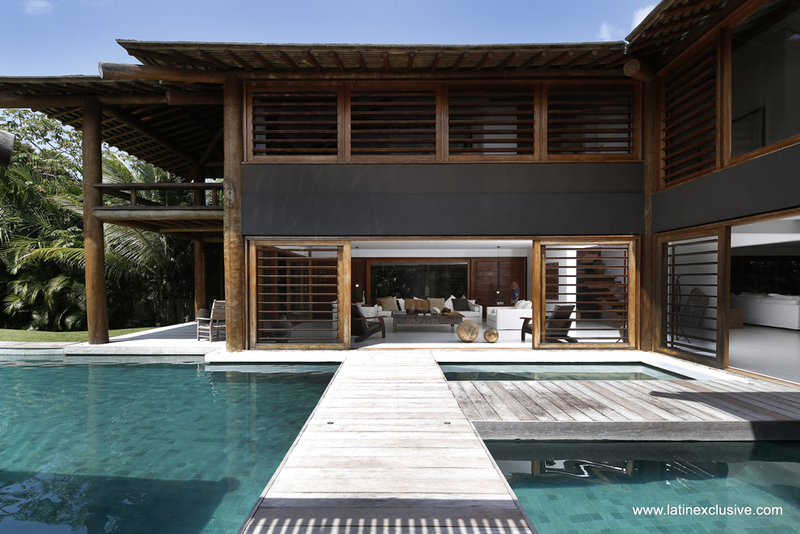 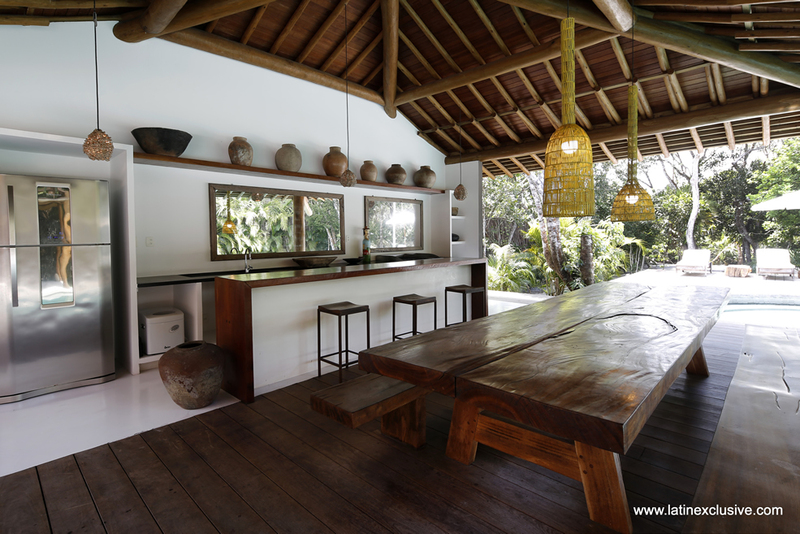 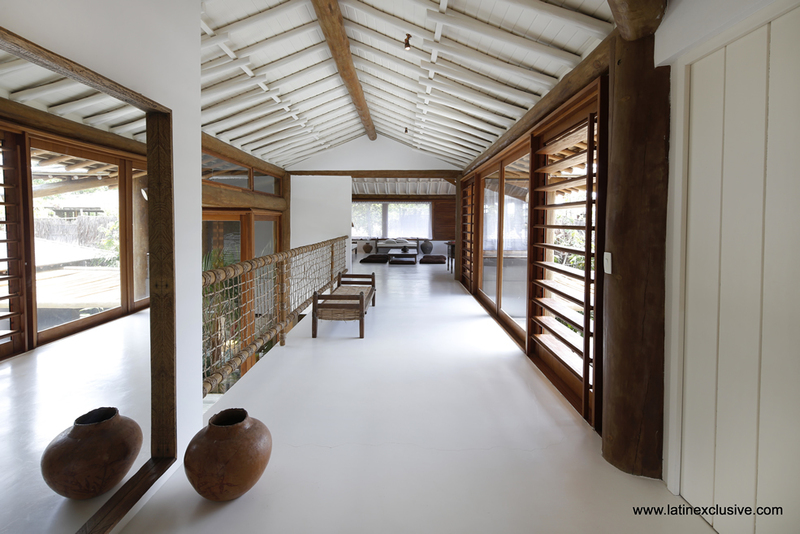 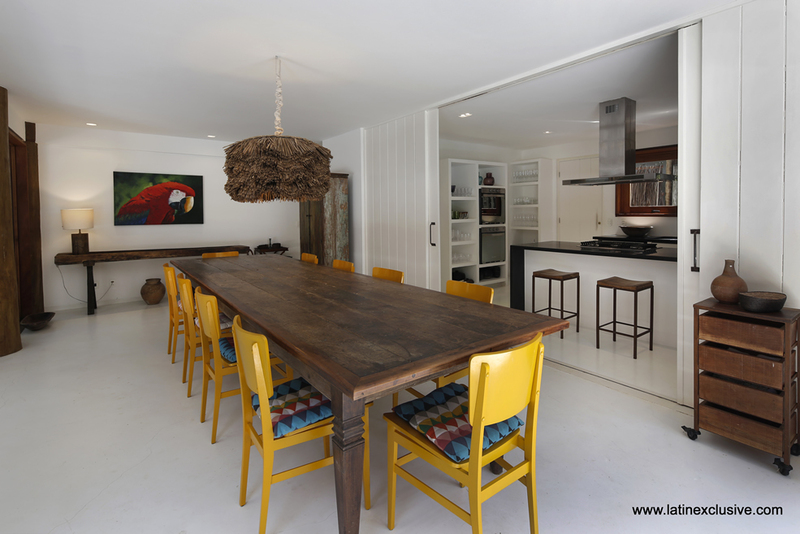 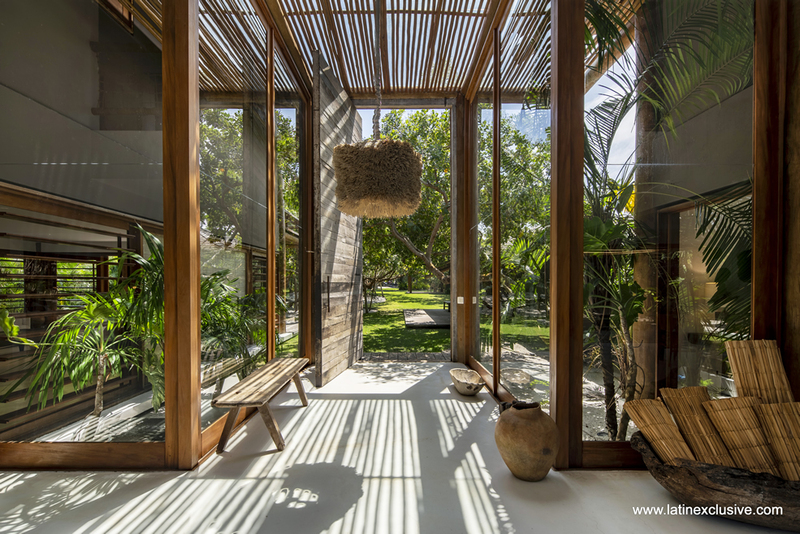 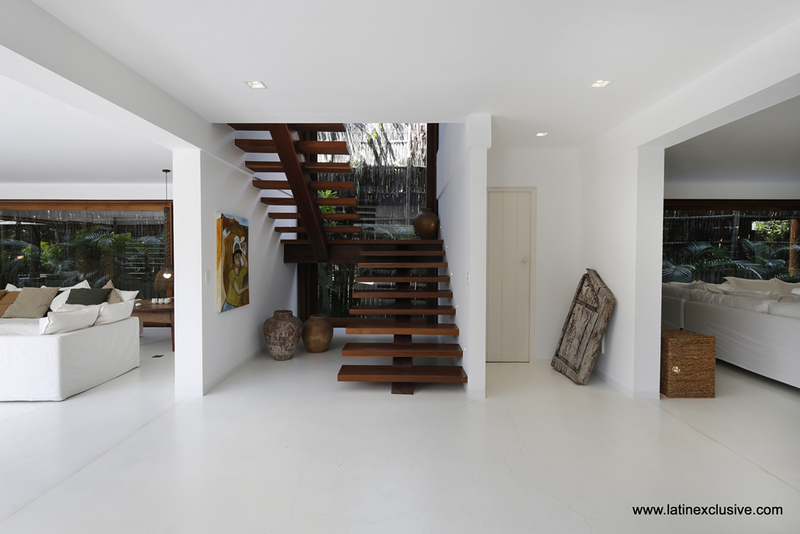 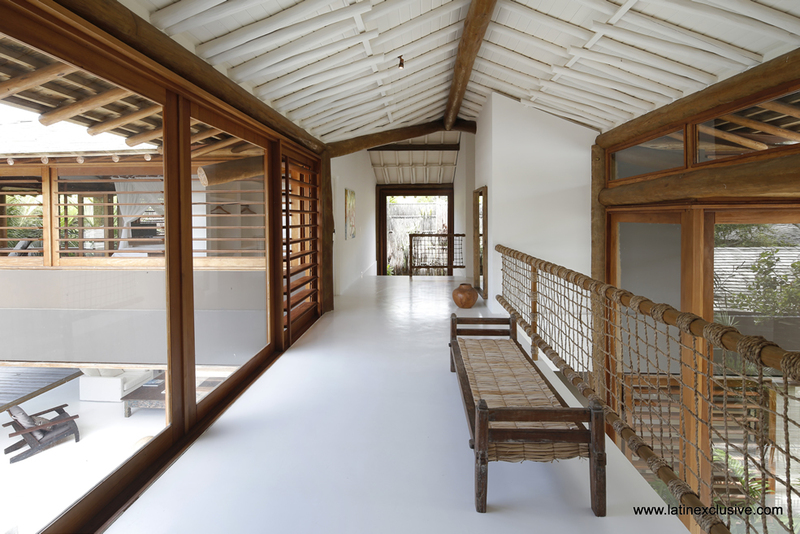 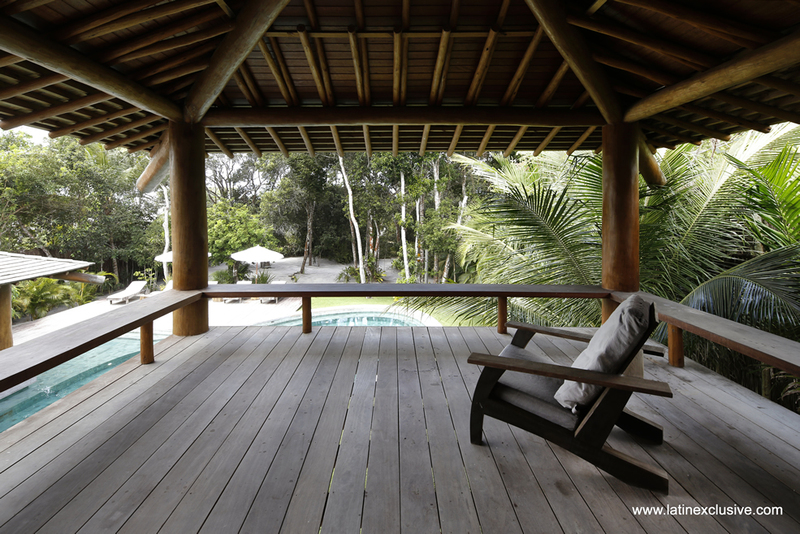 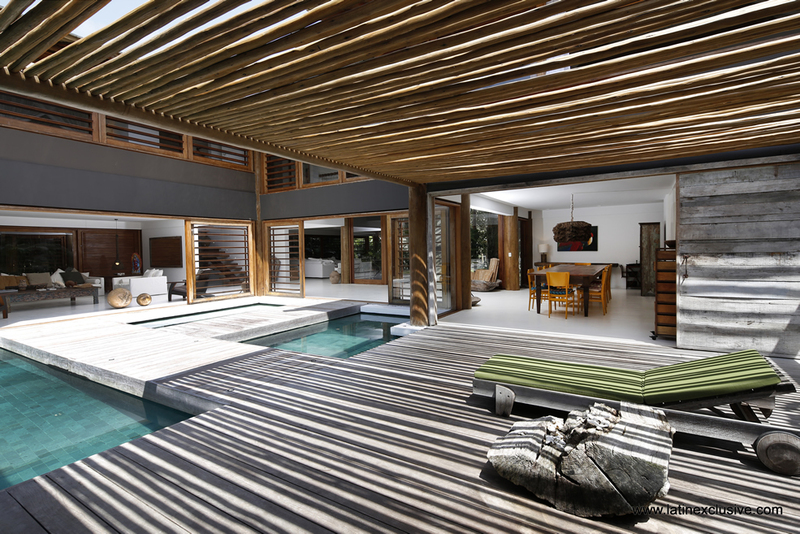 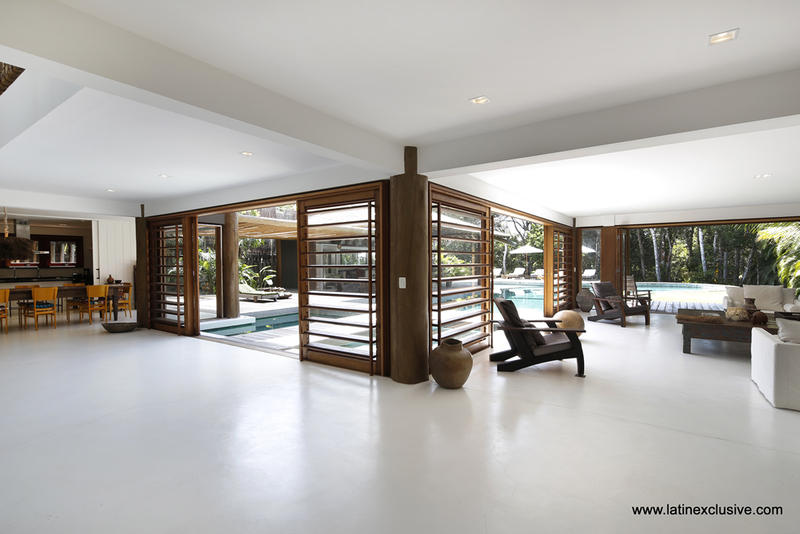 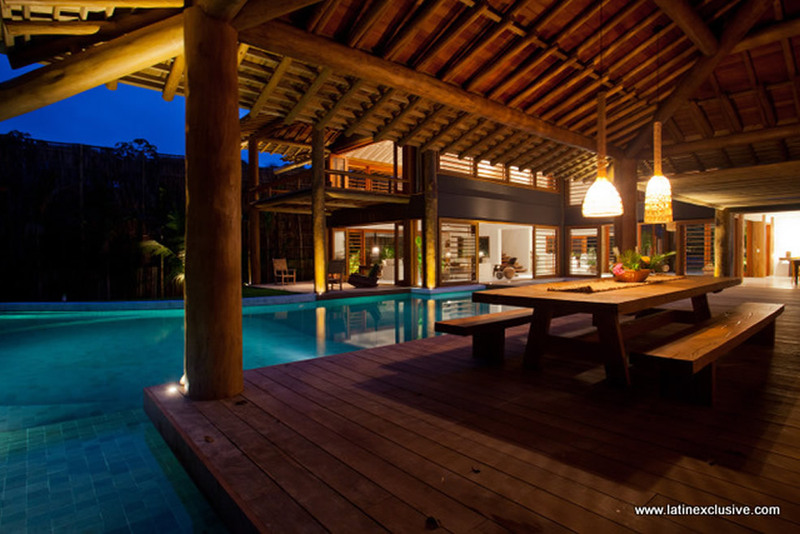 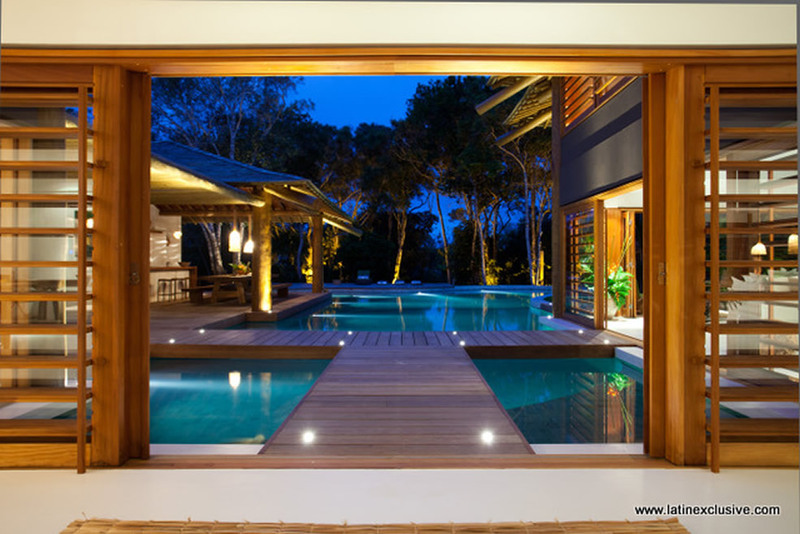 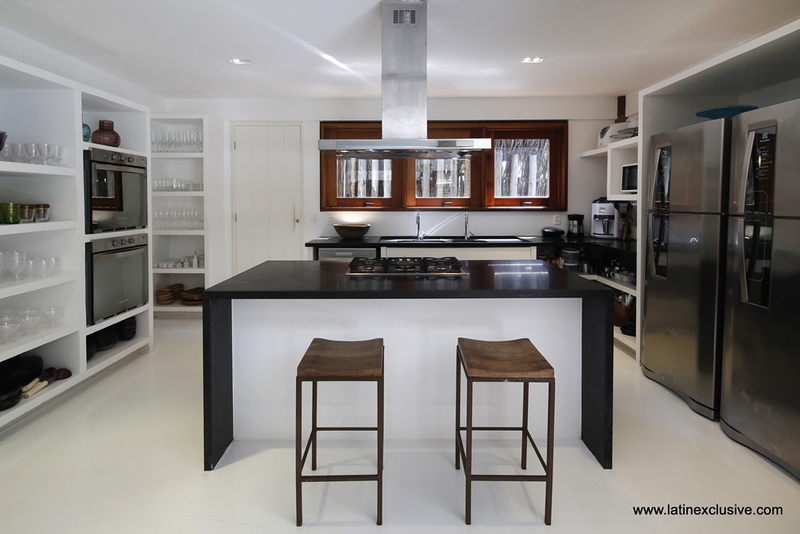 The two living area are interconnected with the dinning area, the modern kitchen and the external BBQ area by a graceful wooden walkway passing over the pool, all those spaces are widely open on the pool and the tropical garden. 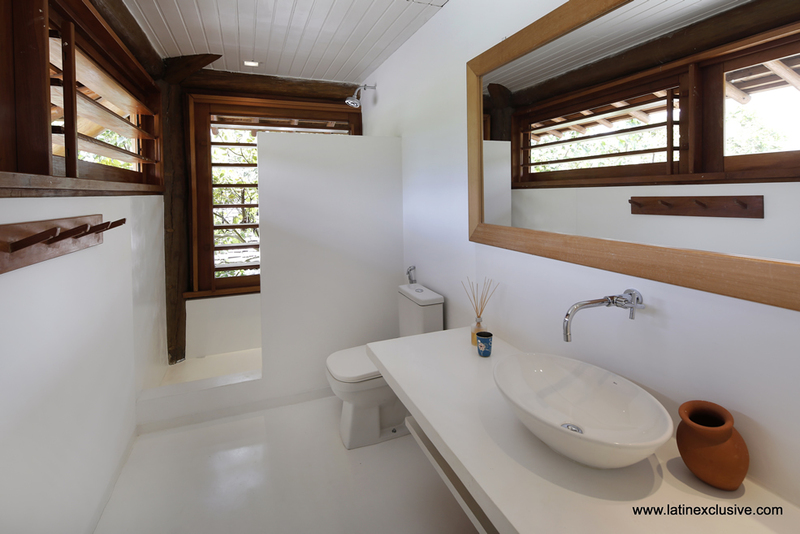 Discreet and classy bungalows, of good proportion, have a total of three more bedrooms with en-suite bathroom in total. 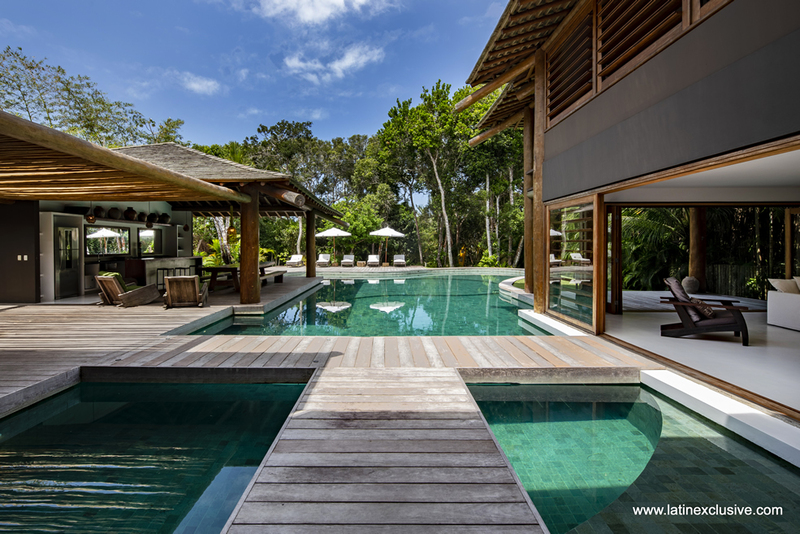 The property is erected around a pool of subtle curves, with translucent water reflecting the golden light of the southern Bahia sun. 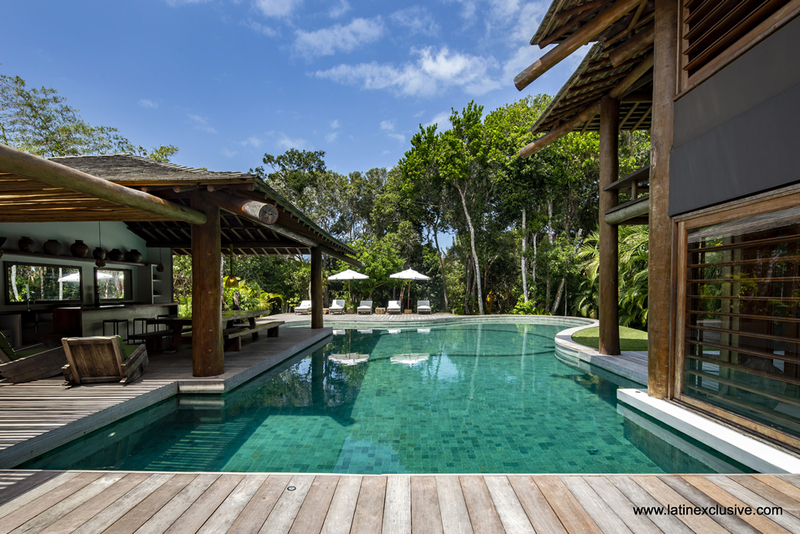 Next to this magical pool, the vast gourmet area offers space and practicality to organize brunches, lunches and dinners a stone's throw from the beach. 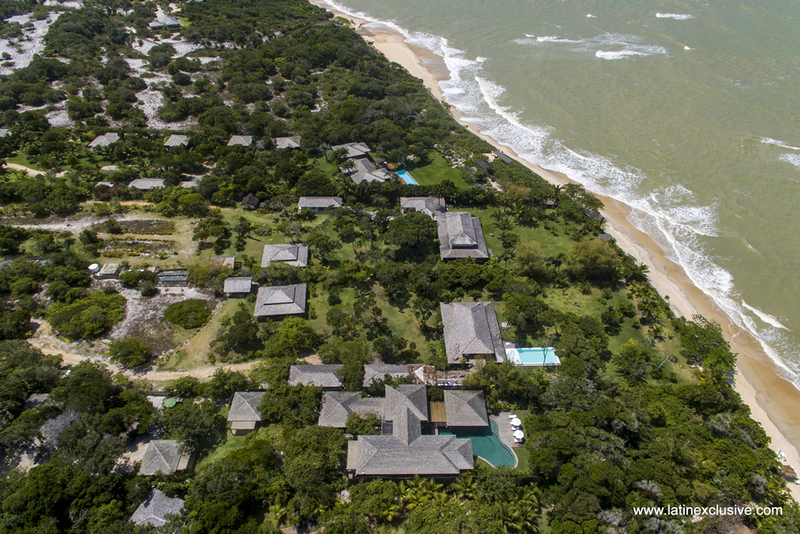 The beach is another asset of this exceptional property. 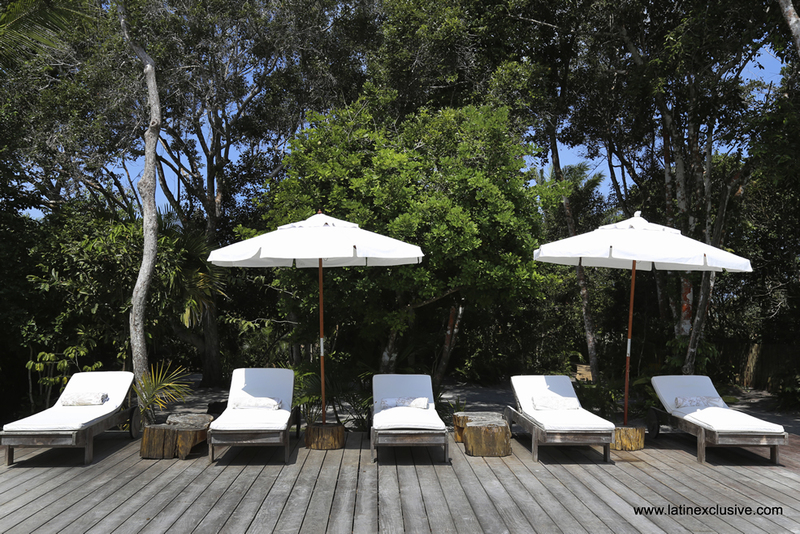 The delicate pergola of the beach lounge, with long chairs lie on in the white sand is by the side of a crystal clear water, warm at any time of the year. 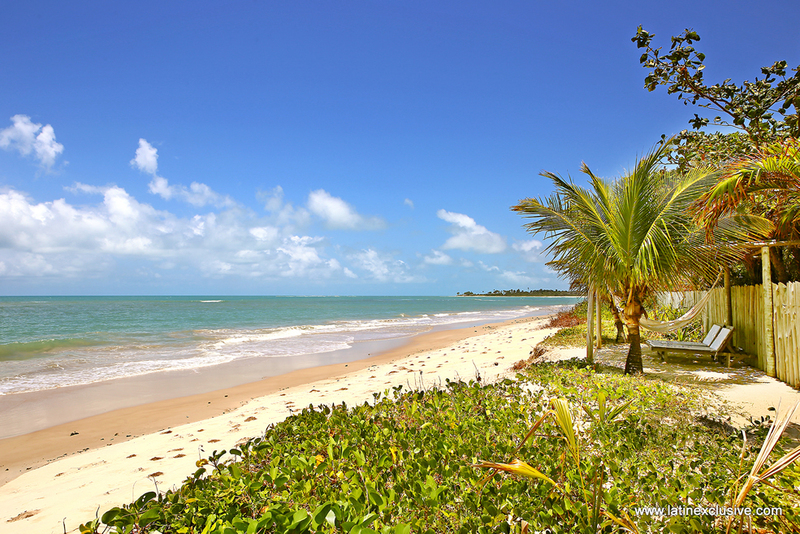 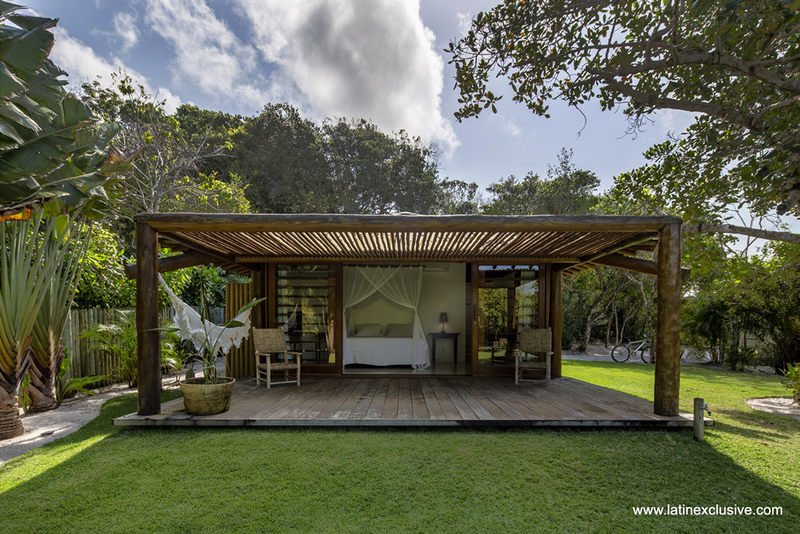 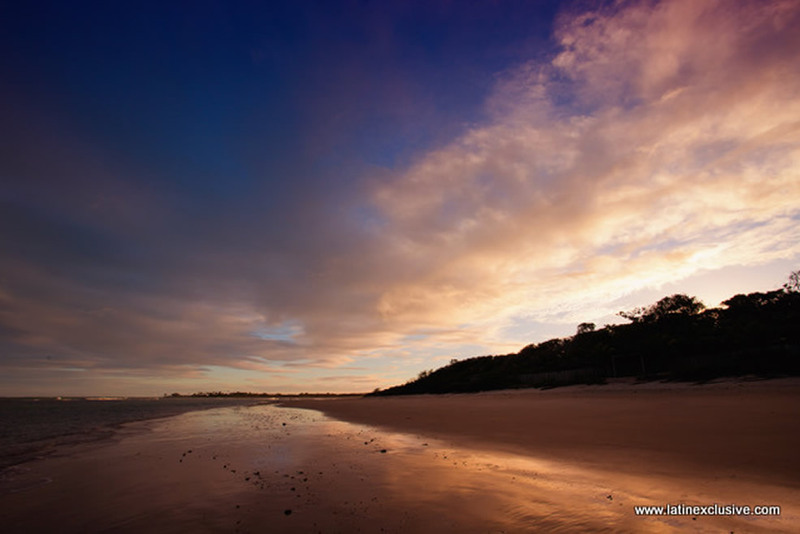 Itapororoca is one of the most exclusive beaches in Trancoso, a 7km long beach with few houses and large preserved areas, access is via the beach or a dead end road with 24h surveillance access. 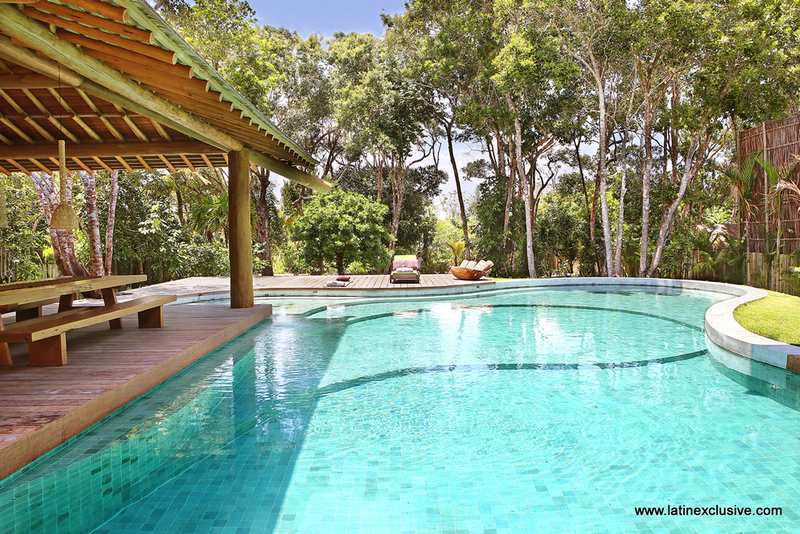 In total there are 6 dedicated staff, available 8h / day for guests, for cooking, cleaning and cleaning the house, serving meals and snacks at the pool or beach, and riding the beach support. 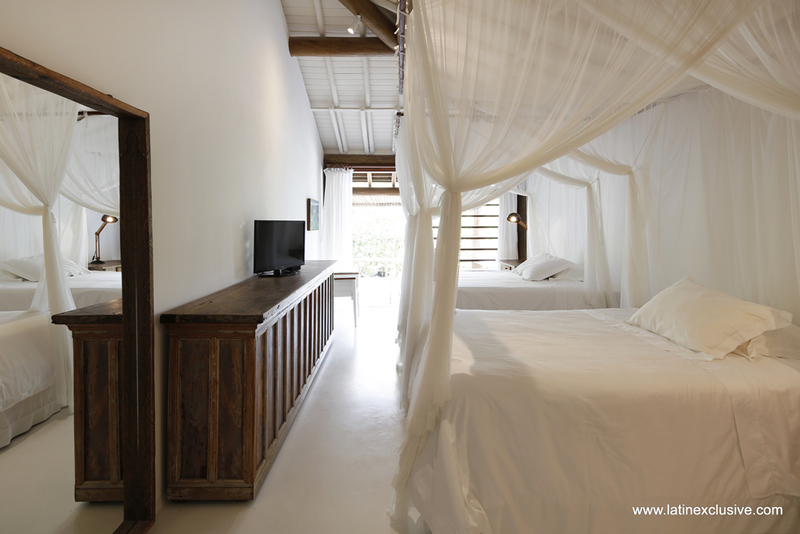 • Bungalow 1 - 1 king bed, air conditioning, mosquito net, TV, balcony, garden view. 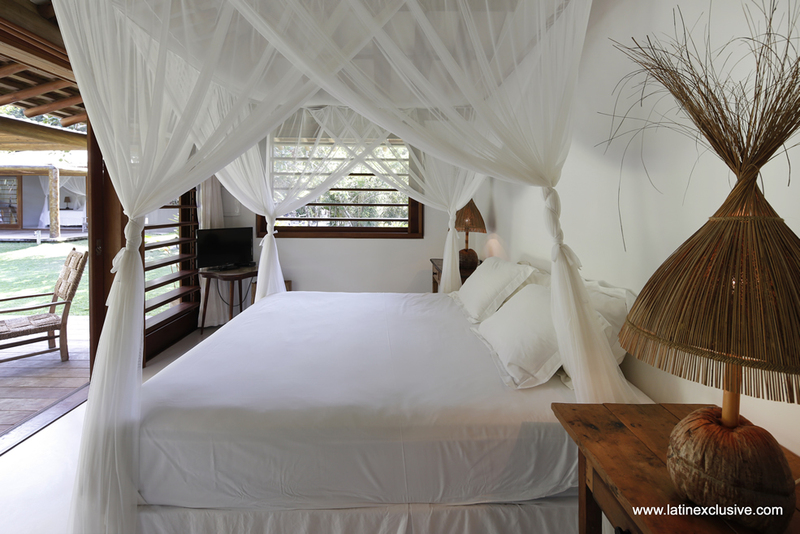 • Bungalow 2 - 1 king bed, air conditioning, mosquito net, balcony and garden view. 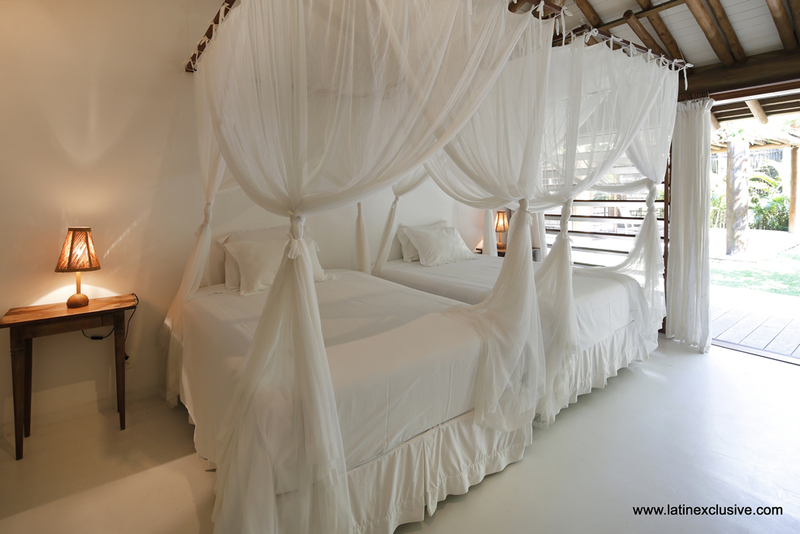 • Bungalow 3 - 2 suites: 1 with king bed, air conditioning, mosquito net + 1 with 2 widow beds, air conditioning, mosquito net, balcony, garden view.